Want to mount your Gear Jacks to wood, metal, or plastic? 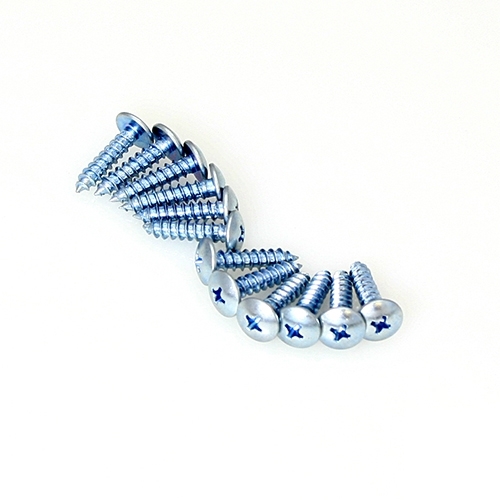 These screws are what you need. These truss head tapping screws are perfect for mounting Gear Jacks to trailer shelves and floors, workshop benches, etc. They fit nicely through the mounting holes of Gear Jack Stanchion Brackets and their truss heads spread the holding force without needing a washer. You may already have the screws you want to use but if not, you can save a trip to the hardware store. Here they are.